« How Much Do Queues Affect Your Theme Park Experience? 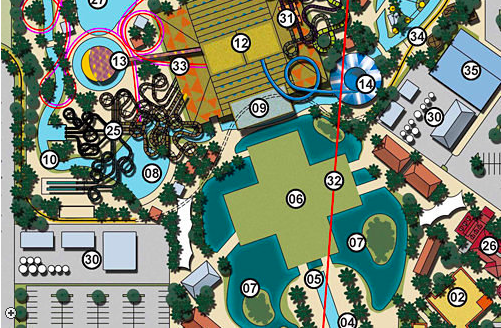 It seems there has been another theme park trying to get approval in the United States, and it’s not the certain-to-be-doomed DreamVision parks in either Texas or Alabama this time. 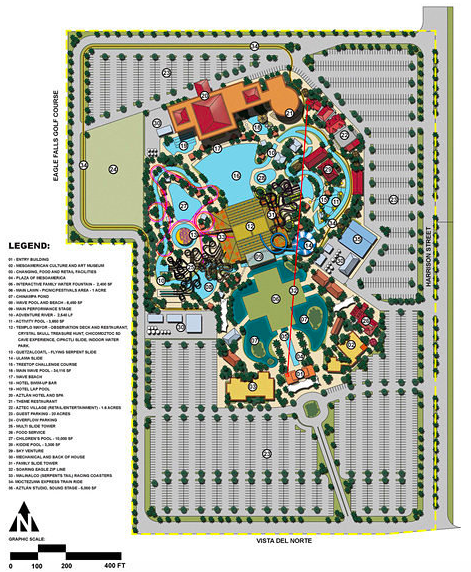 Aztlan is a proposed theme park, resort, concert venue and dining/shopping district looking to set up shop near Palm Springs, California. The site would be on 48 acres of land along Interstate 10 and the land owner has already agreed to an 80 year lease according to the developers. Overall, this park will have an Aztec theme largely due to the fact that they want to shoot a movie here. 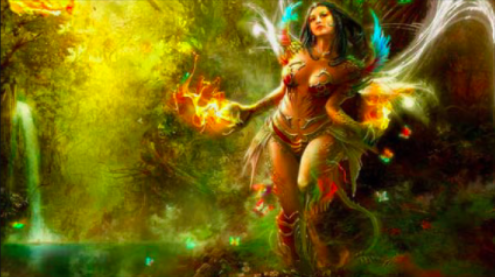 Moctezuma Rising will be a mix between Indiana Jones and Maleficent and is being executive produced by Albert Ruddy who won Oscars for producing The Godfather and Million Dollar Baby. Skip Woods is writing the film and has previously penned A Good Day to Die Hard, X-Men and GI Joe. In addition, there will be soundstages on the property where they can film indoor scenes and after shooting is complete, they will be available for rent to other production companies looking to shoot in the area. 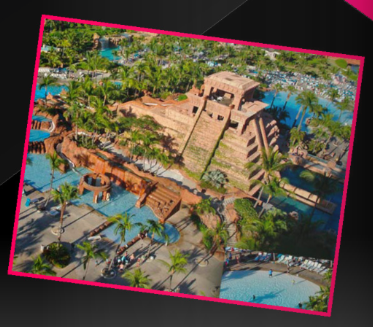 The centerpiece of the park will be a 200-foot Mexican temple, which will have various waterslides coming from it, very similar to the Atlantis resort in the Bahamas and Dubai. Aztlan Development, which was recently formed to build and design the project, has tapped Alex Silva as one of the head project managers. 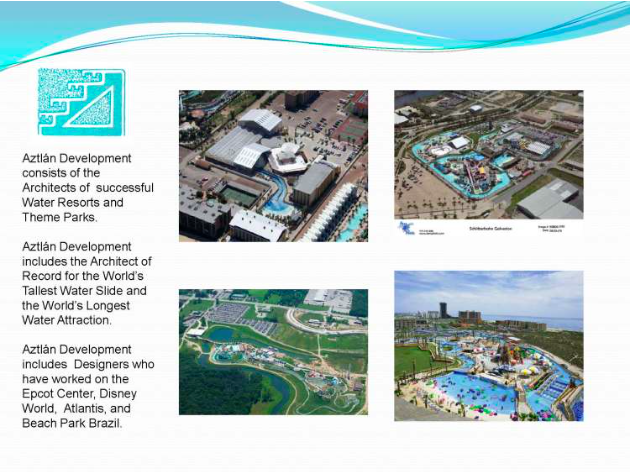 Silva has worked on all the Schlitterbahn Resorts, Disney’s Typhoon Lagoon and the Atlantis Resort in the Bahamas. Palm Springs City Countil is expected to have several meetings about this over the next six months. If approved, they could start construction in April of 2016 and the first phase could be open in 2018. There are a lot of moving parts to this and no doubt, the current proposals includes many bells and whistles that could be stripped away by the time this actually opens, if at all. Some of the financing has been given by a group of Chinese investors known as (I am not making this up) Hollywood Culture Development. Although all the funding isn’t secured, even this group hasn’t signed on the dotted line, nor will they until this gets approval from the city to move forward. Will this get approved? Hard to say. They are doing everything right so far from everything I can tell. They have some financing in place, they have a deal with the land owners, they are getting approval from the city and have some key people on their team. However, considering that all of this hinges on a movie that may not necessarily be made, it’s a crap shoot. Either way, we will be following the development as the story unfolds. Make sure to follow Theme Park University on Twitter and like our Facebook Page! Doing any online shopping? Use the Amazon links on this page and it helps pay the bills here at TPU and costs you nothing extra! This entry was posted in News, Theme Parks 101 and tagged Aztlan Theme Park, California, Movie Studio, Palm Springs, Schlitterbahn, Water park. Bookmark the permalink. Trackbacks are closed, but you can post a comment.